What does a performing clown named Puddles Pity Party have in common with a world-renowned diamond store? 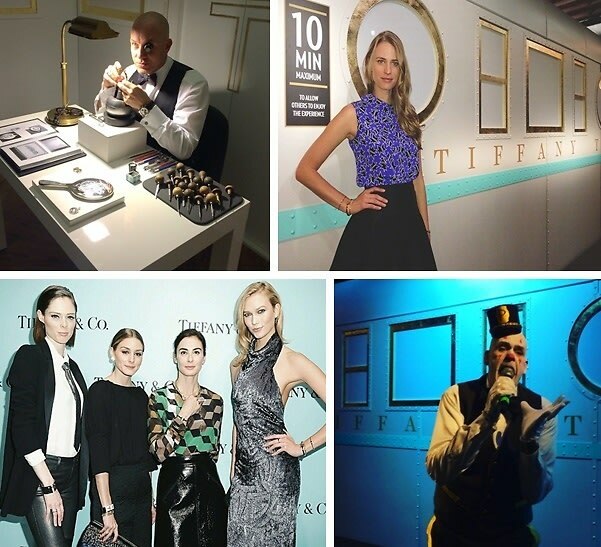 We're not sure, BUT the two came together at a celebrity-packed evening for The Tiffany T Train experience at the DIA Art Foundation gallery in Chelsea. For more from the event, continue reading here. Who was there: Guests included Karlie Kloss, Francesca Amfitheatrof, Coco Rocha, Olivia Palermo, Hana Jirickova, Puddles Pity Party, Harley Viera-Newton, Amirah Kassem, Eva Chen, Gillian Miniter, Sabine Heller, Eddie Borgo, Jorge Garcia, Julie Henderson, Rebecca Hall, Athena Calderone, Dan Ragone, Dustin Yellin, Happy Massee, and more.